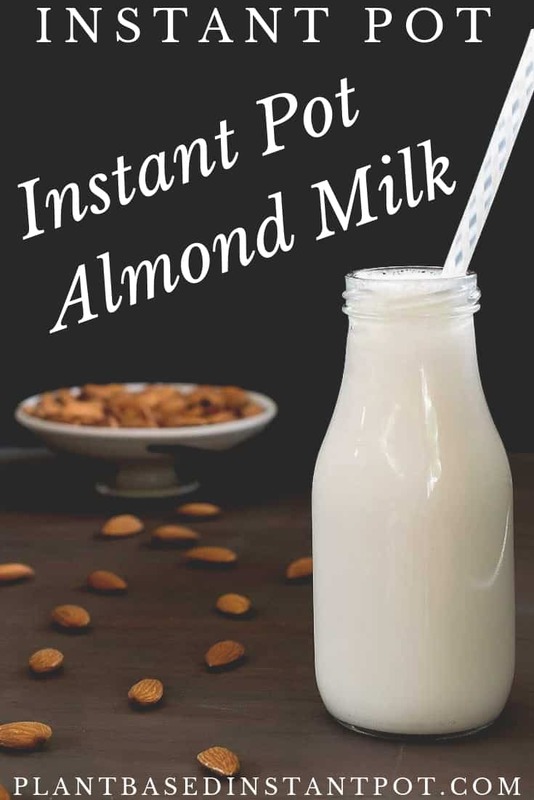 While you do not need an Instant Pot to make a plant-based milk, this Homemade Instant Pot Almond Milk Recipe does use one. 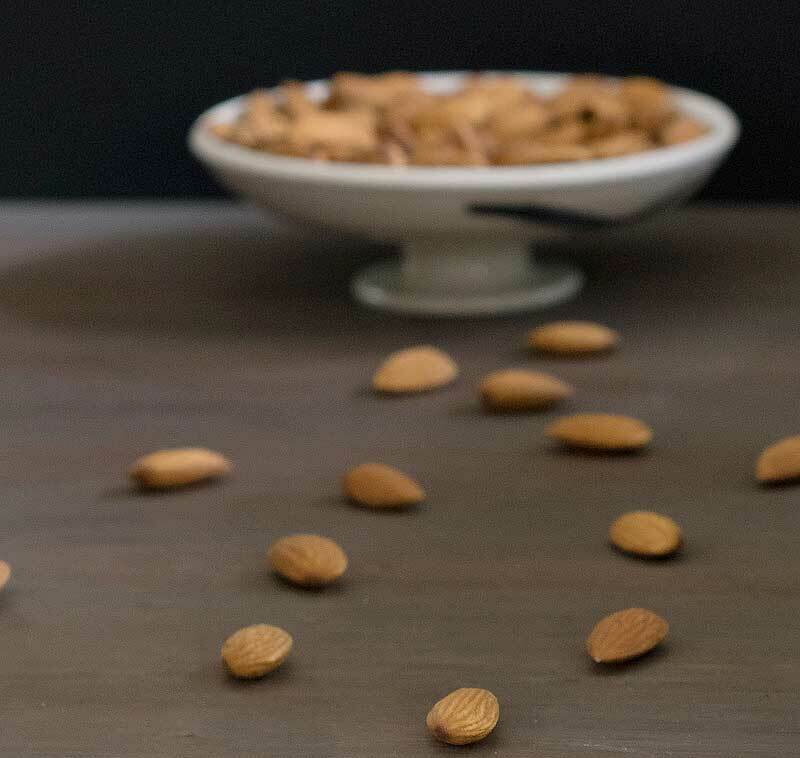 I created this recipe when I forgot to soak my almonds and I needed to make some nut milk on the fly. It’s quick, easy, and you can start making it right now! While you do not need an Instant Pot to make a plant-based milk, this recipe does use one. I created this recipe when I forgot to soak my almonds and I needed to make some nut milk on the fly. 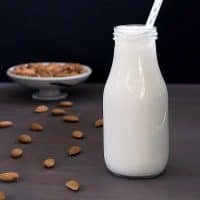 How Can I Make Raw Almond Milk? It’s so easy to make it raw! All you have to do is plan ahead. 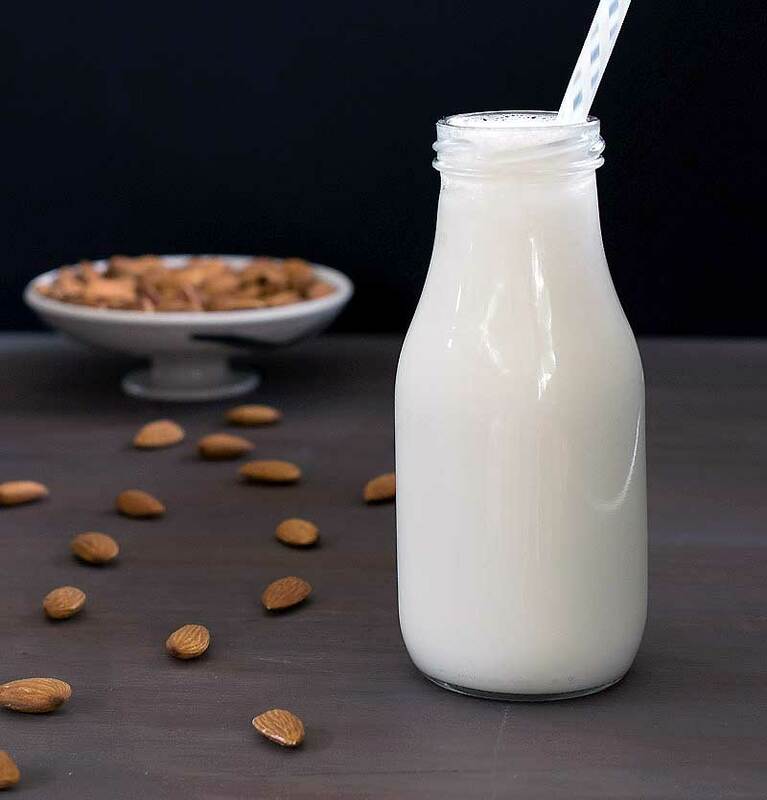 How Do You Make Almond Milk Fast? Cooking the almonds instead of soaking them for 12 hours saves time no matter what method you use to cook it. In this recipe we cook the almond in an electric pressure cooker, but you could boil them on the stove, or even cook them in a slow cooker. How Long Does Homemade Almond Milk Last? It can vary, but 5 to 7 days. Please note that if you don’t add some kind of thickener the milk will separate. 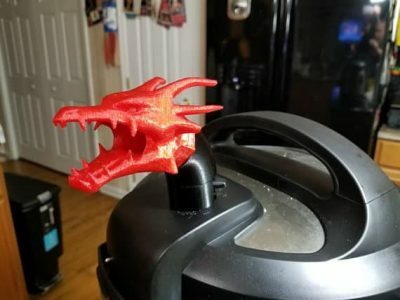 Just give it a good stir before you use it. Sometimes you need some nondairy milk and you don’t have time to wait for your nuts to soak. 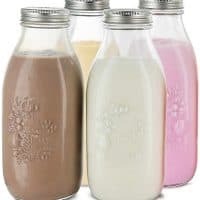 This is a quick and easy way that will give you a quart (946 ml) of nondairy milk in less time than it takes to go to the store. You can use it plain for cooking or flavor it up and drink it as dessert. Please note that there are no nutritionals for this recipe because it really depends on your blending and straining. If you use a nut milk bag it should be close in calories to store-bought almond milk. Add the water and almonds to your Instant Pot and cook on high pressure for 10 minutes. Carefully manually release the pressure. I like to slip them out of their skins and discard for smoother milk, but you can leave them on if you prefer. If you take them off the milk will be whiter. Add the almonds and the 4 cups (946 ml) water to your blender and blend well. 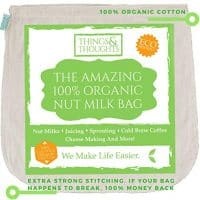 Strain through a nut milk bag and store in the refrigerator. Note: the calories will vary depending on how fine you blend the milk. The amount listed is if you do NOT discard any pulp. Why Would I Ever Peel My Almonds? First off, know that you do NOT have to do this optional step in the recipe. What it does is make filtering a little easier because you’re removing some of the fiber beforehand. The other plus is it makes the almond milk a whiter color, which is helpful when you’re introducing it to someone used to regular milk. 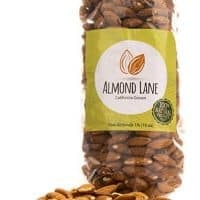 How Can I Sweeten this Almond Milk? You could add a few dates in with the almonds and blend them in for a sweet version. You could really add your choice of sweetener to taste with things like maple syrup, stevia, etc. 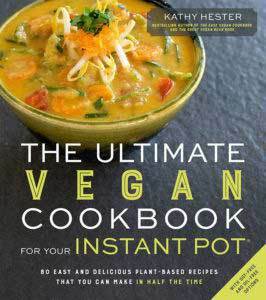 Is there anything the Instant Pot can’t make? I’m secretly hoping that I get one for Christmas even though I have no clue where I’ll put it. Who knew – milk in an instant pot?! Really glad to find this recipe because we always need some almond milk on the fly don’t we? Thanks for sharing!